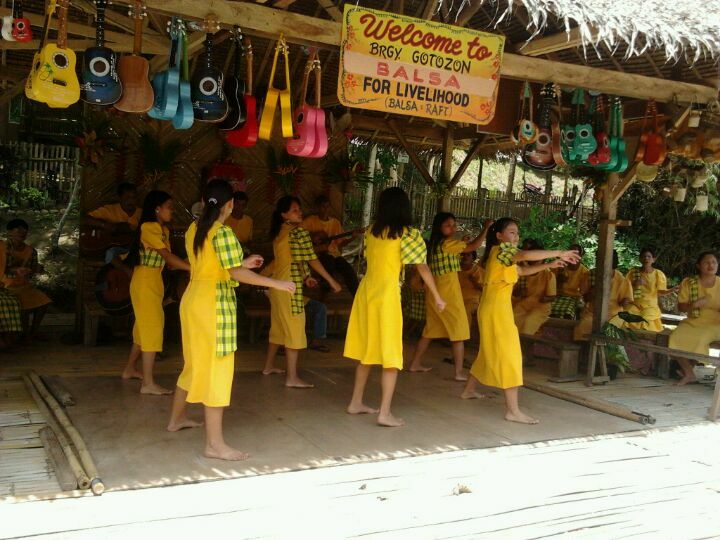 Long River Cruise & Floating Restaurant is one of top destinations in Bohol. You'll have a chance to view the stunning scene of Loboc River while enjoying the locals food. Why Long River Cruise Floating Resto is special ? Long River Cruise Floating Resto offers visitors to experience the beauty and serenity in the most beautiful section of the river that runs through Loboc. 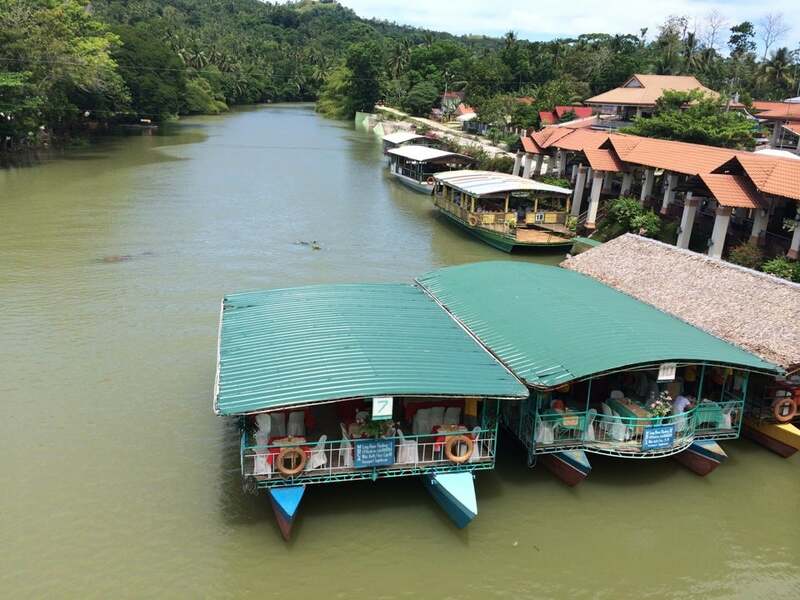 Cruises start near the historic Loboc Church at the town proper where many boats are docked and different stores and restaurants line up the riverside. The cruise takes about one hour long through the twisting river. And it starts with the view of the Loboc River on one side of the river. At the start of the cruise, people are invited to start lunch by feasting on the buffet that is served. Guests are also offered different tropical drinks include fresh coconut. Also on board each restaurants, entertainment is provided where singers are also on board. How to get to Long River Cruise Floating Resto? Loboc is about 30 minutes ride from the city of Tagbilaran where the Tagbilaran Airport is located. From there, taxi and local bus are available to take you to the Loboc River. The food is a mishmash of Filipino dishes with meat, seafood, fruits, and vegetables, so you get all the food groups. There is a row of tents/kiosks at Loboc Tourism Complex where you can reserve or book slots at a floating restaurant. 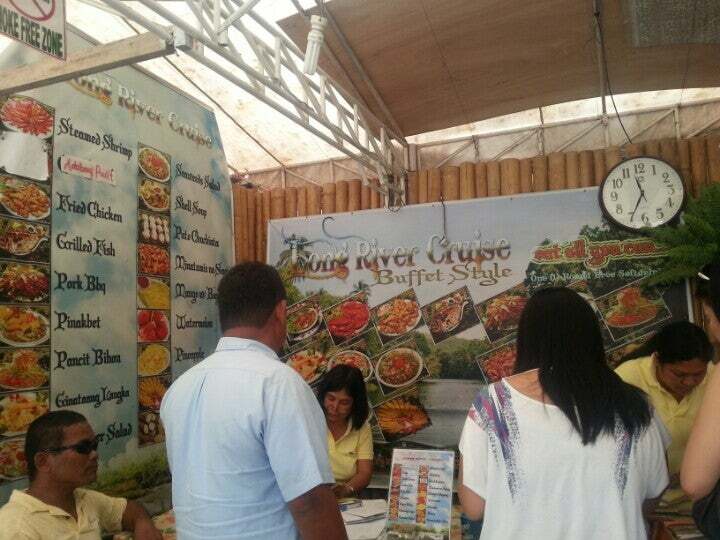 Each floating restaurant shows their buffet menu and base on it you can choose which one restaurant you want. Basically, the meal starts from the time you board the barge, then it will float down the River, then turn around once it reaches the end. There are floating “stations” where there are groups of dancers who are performing and you will stop to watch the performances. Once buying the ticket, you are proceeded to the resto’s designated waiting area. While waiting, you are entertained and “serenaded” by a group of elderly men playing traditional instruments. There is also live entertainment on the boat, which is mainly a guy with a guitar and a mic stand, and a repertoire of easy listening ballads. The river cruise was good and comfy. The food (lunch) was not that tasty. It needs more improvement with regards to the facility. One more thing, you cannot find comfort in their comfort rooms... Overall, the scenery was nice although the rain was pouring hard. WE did enjoy our lunch.